This article from the Wichita Evening Eagle details the enormous contributions of Kansas aviation companies to World War II and their impact throughout the globe in both military and non-military roles. The articles' author, Captain Jack Hardwick, explains that he trained in Wichita-built airplanes and witnessed Kansas-made airplanes "in every state in the country and in every theater of war." In addition, Hardwick recalls seeing Wichita-built airplanes being used for a variety of purposes, including crop-dusting and training foreign aviators that helped secure the Allied victory in World War II. 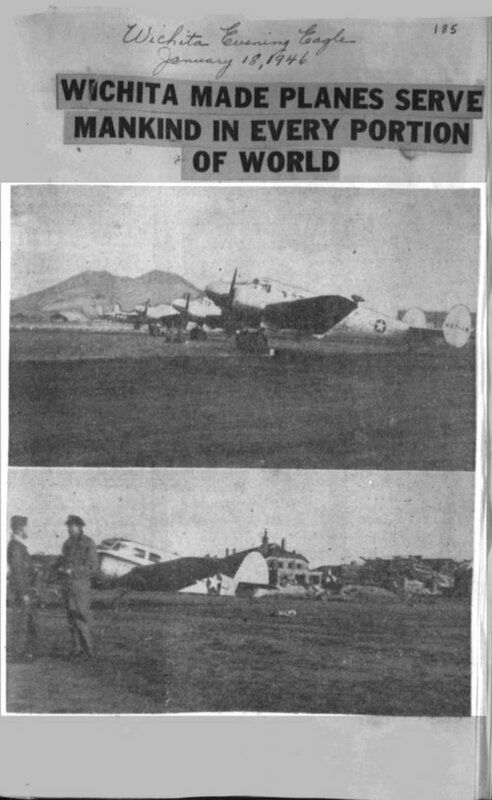 This article can be used to help students appreciate the worldwide impact of airplanes manufactured in Kansas during World War II.